These days, it seems like Disney owns every major property out there. And while that’s not true, almost all of them will be on display at the company’s newest theme park, Disney Shanghai Resort. Set to open in 2016, it will have new attractions based on Star Wars, Marvel, TronN and Pirates of the Caribbean. 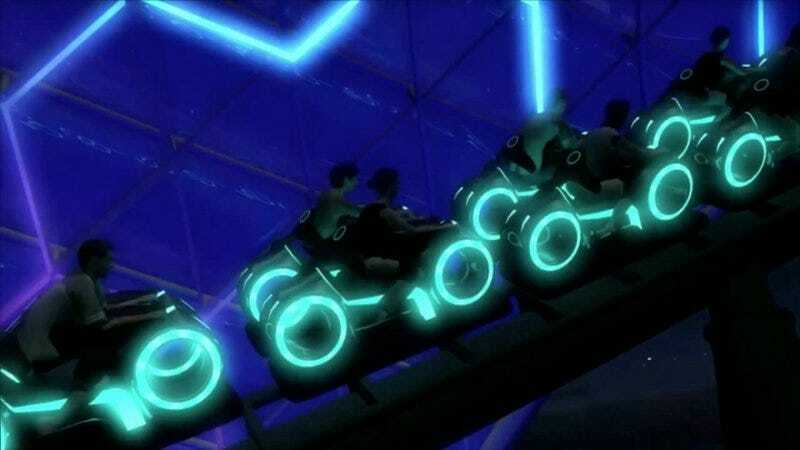 Disney CEO Bob Iger revealed that Shanghai will have rides called the Tron Lightcycle Power Run, a type of roller coaster, the Star Wars Launch Bay and Marvel Experience, a whole Pirates themed world called Treasure Cove and more. Here’s a video teasing Tomorrowland, which includes lots of views of the Tron ride. The Marvel Experience allows “guests to attend a multimedia mission briefing on the world of Marvel, get up-close with some popular Marvel Super Heroes and take on the role of comic book artist as they learn to draw some favorite characters.” So neither of those are rides, which is a bummer. Maybe you’re thinking, “Are we going to get rides like this in the United States?” The answer is a definite maybe—and we’ll hopefully find out soon. Rumors have been swirling among Disney fans that the company will reveal some new, major theme park additions at the D23 Expo in Anaheim, CA next month. For more on the attractions at Disney Shanghai Resort, check out the official blog.